Babe Ruth The Most Famous Or Possibly The Greatest Name In All Of Baseball. The World has so acclaimed it. Far or near you will find none no not one famous baseball player with the true world wide name recognition nor more famous than "The Babe." 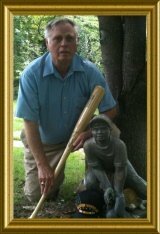 It would be presumptious for this baseball fan to attempt a story or tell of the amazing accomplishments about and using the given and christian name George Herman Ruth Jr. as all the world knew and knows as "THE BABE". George Herman Ruth, Jr. (February 6, 1895 – August 16, 1948), also popularly known as "Babe", "The Bambino", and "The Sultan of Swat", was an American League Major League Baseball player from 1914 to 1935. Named the greatest baseball player in history in various surveys and rankings, his home run hitting prowess and charismatic personality made him a larger than life figure in the "Roaring Twenties". There is very little definitively information and detail known about Ruth's early childhood. His mother reportedly was constantly ill (she later died of tuberculosis while Ruth was still a teenager). Babe Ruth later on in his life described how his early years were "rough." When he was about seven years old, his father sent him to St. Mary's Industrial School for Boys, a reformatory and orphanage, and signed custody over to the Catholic missionaries who ran the school (the site of St. Mary's was occupied by Cardinal Gibbons School). Ruth remained at St. Mary's for the next 12 years, and until about 19 years of age while visiting with his family only for special occasions. Brother Matthias Boutlier, the Head of Discipline at St. Mary's, introduced Ruth to the game of baseball. He became a father figure in Ruth's life, teaching him not only how to read and write, but worked with Ruth as an athlete teaching him the game of baseball on hitting, fielding, and, as his skills progressed, pitching. During his time while growing up at St. Mary's, Ruth was also taught the trade of being a tailor, Ruth not only became a qualified shirtmaker, he was a part of both the school band and the drama club. No need for a URL to find the baseball career and life story on the world wide web for "THE BABE," The Bam or The Great Bambino, also revered as The Sultan Of Swat for his name is etched in the annals of baseball and minds fans around the world as being bigger than life as a baseball hero and is known around the globe as the greatest name in All Of Baseball. Babe Ruth Bio "George Herman Ruth Jr. signed my contract and when reporting to the Orioles his teammates jokingly referred to their owner as having signed a babe (another youngster). This term stayed with Ruth for the rest of his life and even now through history. Because of his Legendary Career and even till this day makes THE BABE The Greatest Name In All Of Baseball." " What started out as a joking gesture referring to Ruth as a baseball baby. Because Jack Dunn the owner of the Baltimore Orioles was signing very young players soon and legendary ever since became the most famous name in all of baseball as Babe Ruth." The Sultan of Swat converted to the outfield full-time after his sale to the Yankees in 1920 and led New York to seven American League pennants and four World Series titles. He finished with 714 home runs, leading the league 12 times, including a remarkable 60 round-trippers in 1927. The 20th Century ushered in during its second decade beginning in the 1920's an epic era known as the "Roaring 20's" with this day also came one of the Greatest Names In Baseball History bigger than life he strode to home plate at Yankee Stadium and the World of Baseball has never been the same since. It seems that the world of sports all sports and so it goes for baseball there is a hunger for real life stories about a bigger than life hero figure. Babe the name the man epitomizes not what is known just as a baseball player but as a bigger than life hero of the game and reaching gigantic legendary status. Although Babe is so famously known for his exploits in the pin stripes of the Yankees he has also brought with his mystique the forever common knowledge he played and started his stardom becoming a baseball ghost of fortune for Boston Red Sox baseball. His personna, his kindred spirit of boyish wonderment and the way he approached and embraced life captured the hearts and imagination of not just a country but the entire sports World and baseball happened to be his game. Here is a short but yet all emcompassing spectrum of the greatest name in all of baseball. In the year of nineteen twenty (1920), the Red Sox bartered the Babes contract to the famous New York Yankees baseball team. That year, The Babe hit fifty-four (54) home runs. This was more home runs than any other American League entire team hit that season. The next year, he hit fifty-nine (59) home runs. Babe Ruth's baseball power hitting skill and friendly nature made him famous across the country and around the world. The 1922 season started with the Babe in street clothes for the first week of the season ie Baseball History: Ruth's 1921 Suspension. Many people came to the Yankee games just because they wanted to see Babe Ruth play. He helped the team earn a great deal of money. The Yankees built a new baseball stadium. 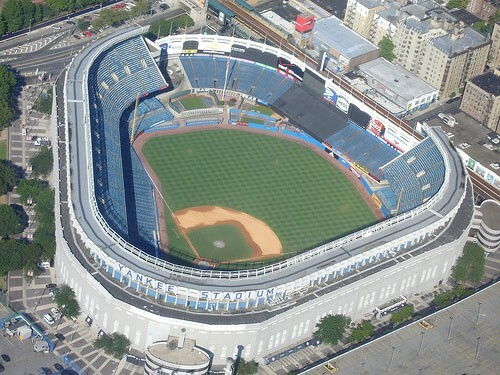 Even today, Yankee stadium is known as "the house that Ruth built." Babe in the game of baseball is what one might class as being a personage which was bigger than life for his personna lives on. Candy bar (Baby Ruth), Legends proven and unproven, along with Baseball and Softball Playing Leagues have filled the years with the Legendary name of Babe Ruth. 1951 saw the formation of a baseball league named the Little Bigger League. The purpose and reason for starting the Little Bigger League was to provide baseball play for the 13-15 year old group to transition from play of Little League Baseball. The 13-15 year age group moved up and started playing on regulation sized playing diamonds. The baseball play at this age group grew like wild fire and in 1954 the Little Bigger League due to the blessing and good auspices of Babe Ruth's widow the playing league was officially changed to be known as the Babe Ruth League of Baseball. As is often the case of our game of baseball it is a never ending saga of change in the rules/regulations and formation of Official League Names. One offshoot from the Babe Ruth League Baseball is growing and popular as Cal Ripkin Baseball. Baseball structure and organizations never have been static and without changes so stand by for other changes which will come about as sure as we have little green apples. The life of Babe Ruth the baseball legend known as the Sultan of Swat is honored at the Babe Ruth Birthplace and Museum. Visitors to Babe Ruth’s childhood home can see his bedroom, his catcher’s mitt and plenty of other artifacts, but for many the highlight will be seeing what is considered to be one of the most valuable and famous sports collectibles: the 1914 Babe Ruth rookie card (see images), which pictures the legendary slugger as a pitcher. The Sports Legends Museum at Camden Yards, nearby and next to Oriole Park, displays more Babe Ruth-related artifacts as well as exhibits about Maryland sports history. Anything needed other than saying BABE RUTH when telling of the Greatest Name In All Of Baseball History would be redundant. The Babe was known and called by many nicknames but the most unique reference is what he was called by his teammates. He had the most, and certainly, the grandest litany of nicknames in baseball history, including Babe, from being Jack Dunn's young superstar, his "babe". Ruth was also called the Bambino, the Sultan of Swat, the Colossus of Clout, the Wazir of Wham, the Maharajah of Mash, the Rajah of Rap, the Caliph of Clout, the Behemoth of Bust, the Blunderbuss, the Mammoth of Maul, the Mauling Mastodon, the Mauling Monarch, the Wali of Wollop, and the Prince of Powders. He was often introduced as "the Great and Powerful Babe Ruth". To his teammates he was known simply as "Jidge".